New amendments to the PSN's terms and conditions mean that Sony now requires you to ask its permission before you can sue it. Sony has amended the terms of service and user agreement for its online services to the effect that users must now waive the right to file unapproved class action lawsuits against the company if they wish to use its services. Users will be asked to agree to the new terms the next time they log in to any of Sony's online services. 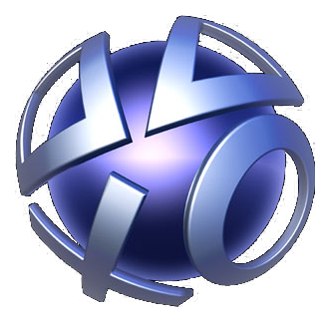 The class action suit filed in April over the PSN security breach will not be affected by these changes. The new clauses, termed "Binding Individual Arbitration," stipulate that "any Dispute Resolution Proceedings, whether in arbitration or court, will be conducted only on an individual basis and not in a class or representative action or as a named or unnamed member in a class, consolidated, representative or private attorney general action." The document makes it clear that no class action lawsuit may be filed "unless both you and the Sony entity with which you have a dispute specifically agree to do so in writing following initiation of the arbitration." Users can choose to opt-out by contacting Sony in writing within 30 days of agreeing to the new terms. By doing so, the user will forgo arbitration (out of court settlement) but will keep their right to file a class action lawsuit. One of the new sections also hints at "Binding Individual Arbitration" being a little weaker than its initial hyperbole suggests, adding that "if the Class Action Waiver clause is found to be illegal or unenforceable, this entire Section 15 will be unenforceable, and the dispute will be decided by a court and you and the Sony Entity you have a dispute with each agree to waive in that instance." Given that a class action lawsuit filed against Sony in April over the PSN security breach (in which the personal details of upwards of 77 million users were compromised) could end up costing it around $24 billion, it's not surprising that the company has chosen to mitigate against massive suits of this kind being raised against it in the future. In the meantime, this move means that PSN users will be likely to question just how much faith Sony has in its security services (even if they are being run by a former Homeland Security officer).